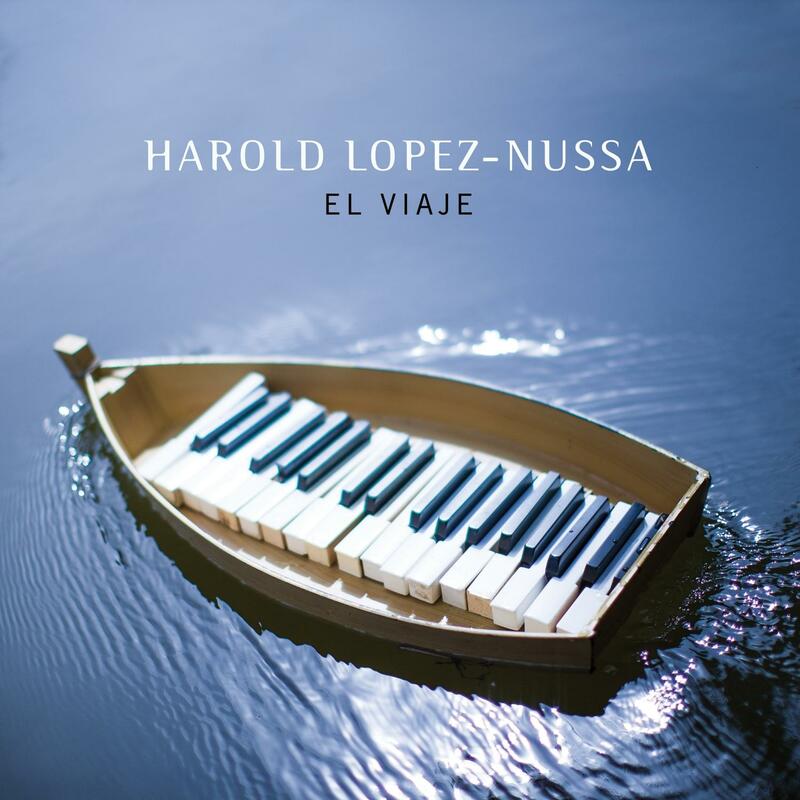 Harold Lopez-Nussa's new album El Viaje was released in September. It crackles with so much keyboard clarity that you just can’t believe the phenomenal, 30-year-old virtuoso from Havana when he confesses that he was “terrified and a bit shaky” when taking his first giant steps from classical music to jazz. “Oh yes, the transition from classical studies to playing jazz was very hard for me. I was scared of improvising, scared of not having the written music of Bach, Beethoven and Mozart right in front of me. I had always been playing classical music, which was pretty much all that I did until I was 18,” Lopez-Nussa said by phone from Paris, a stop on his international promotional tour that includes an encore appearance at Old Lyme’s nationally acclaimed Side Door Jazz Club. “One day my older brother said to me, ‘What are you afraid of, Harold? Just sit down and play,’” the pianist recalled of his older brother’s pragmatic prescription for conquering his fear of improvising without the safety net of having the written music of the masters right there to read from. “But today,” he added, “I love that challenge. I love the idea that you don’t know what’s going to happen next. It’s very exciting,” he said of creating music in the moment. Especially, his robust brand of jazz rooted in Cuba’s rich musical traditions, grooving high and free on Afro-Cuban rhythms, an array of various genres and, of course, his own originality and resourcefulness as a performer and composer. 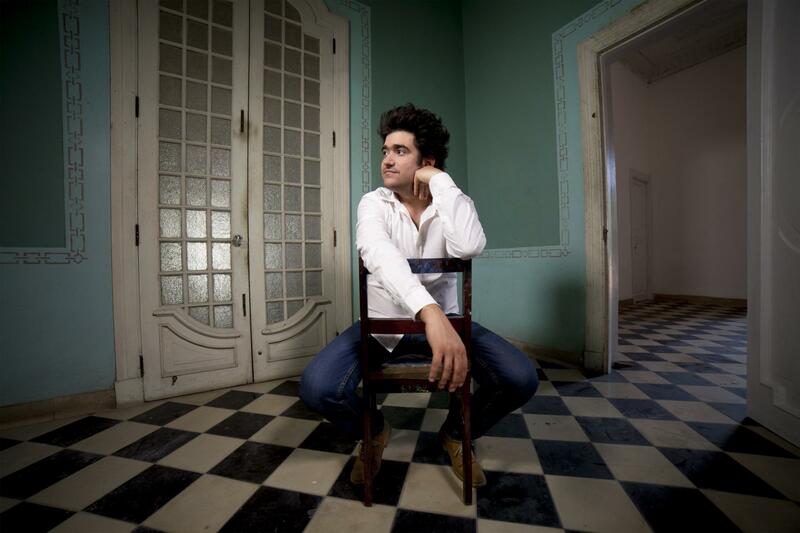 Thanks to his years of training in Cuba’s famously rigorous conservatory studies — a hallmark of so many fabled Cuban jazz piano masters — his joyful music is executed with the super chops he began honing at age 8 while growing up in a home full of music and talent in Havana. With classical command, the convert to jazz plays fluent lines, flashing octaves, explosive, percussive chordal clusters and rumbling left hand adventures — all executed with immaculate articulation and soulful gusto. Most importantly though, the jazz maestro is in artistic control of his prodigious technique, never using and abusing his concert hall prowess just for the hell of it, or merely to show off how diligently he’s studied and practiced for more than two decades from the time he was a highly touted child prodigy to the present as a rapidly rising Cuban keyboard kingpin. 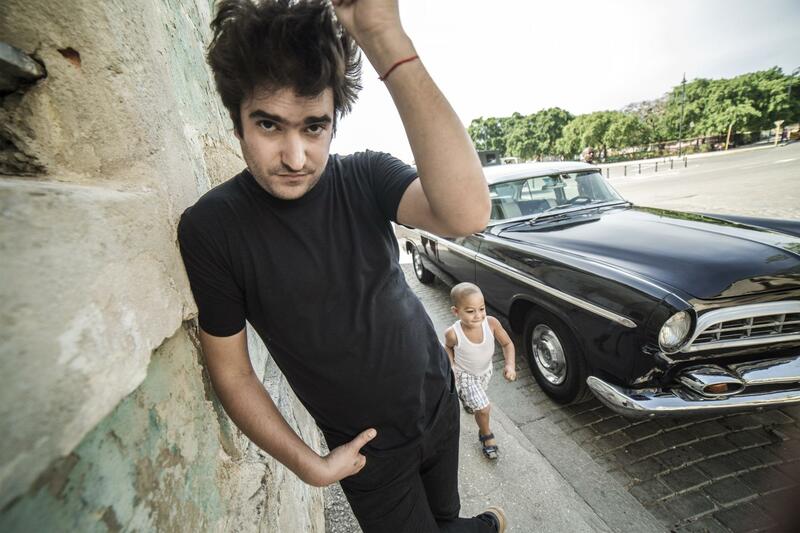 With his love for Cuba as his muse, his signature sound is rooted in an apparently boundless sense of joy powered by his knack for sweet, even bittersweet melodic hooks and the modern harmonies of jazz and classical music. His personal piano heroes range from Cuba’s Chucho Valdes (the initial inspiration for his conversion to jazz) to an American piano pantheon including such icons as Bill Evans, Keith Jarrett, Chick Corea and Herbie Hancock. For his encore appearance at The Side Door, Lopez-Nussa leads his trio on Thursday, October 13, at 8:30 pm, joined by his younger brother Ruy Adrian Lopez-Nussa on drums, and Jorge Sawa Perez on bass. They dig into tunes from the new album’s repertoire, which journeys from a charming ballad, with classical inflections, to partying street music. A rapidly moving cavalcade of sounds and impressions, the album unites the worlds of Latin jazz and sheer Afro-Cuban excitement with a classical sensibility glimmering through a happy co-mingling of the festive and the contemplative. Released by Mack Avenue Records, the CD exudes a virtually orchestral range of colors and feelings. It features a beefed-up lineup of guest artists accompanying the core trio, which consists of Lopez-Nussa on piano, keyboard and backing vocal; his brother Ruy Adrian on drums, percussion, the harmonica-like triola and backing vocal, and the Senegalese master, Alune Wade on bass and celestial falsetto vocals. The trio’s simpatico special guests on the album are: the Lopez-Nussa brothers’ father, noted Cuban percussionist Ruy Francisco Lopez-Nussa; trumpeter/flugelhornist Mayquel Gonzalez and percussionists Dreiser Durruthy and Adel Gonzalez. One tune on the CD that Lopez-Nusssa is almost sure to play is an original called "Inspiracion En Connecticut," a lovely homage inspired by the pianist’s previous well-received gigs at The Side Door. “I just had my imagination floating there at The Side Door, an excellent club in Connecticut. They have a great place there where the musicians stay, and the piano was also very nice,” he said, discussing his fondness for the shoreline jazz refuge. Aptly titled in many ways, El Viaje, or in English, The Voyage, the album is itself a sonic journey whose voyage theme is symbolically illustrated on its cover with a storybook image of an imaginary keyboard sailing on an odyssey aboard a magical boat. With Lopez-Nussa at the helm, the CD’s music streams from the rippling mysteries of "Africa" to the lovely vistas envisioned by "Lobo’s Cha," a son ballad and Debussy-like lull before a storm, to the take-no-prisoner’s rendition of Chucho Valdes’ "Bacalao Con Pan," to the haunting reverie and darkening colorations of "D’ Una Fabula." The album’s title is emblematic of the voyaging nature of Lopez-Nussa’s creative imagination, or what he called his “journey of the mind.” It’s also a metaphor for the wayfaring artist himself, who loves to journey forth from Cuba, score critical triumphs in foreign lands, and then travel back home as a conquering hero to re-energize himself, reunited with loved ones and memories in his beloved birthplace, Havana. In an historic cultural note, Lopez-Nussa, who has dual Cuban and French citizenship is, according to Mack Avenue Records, the first Cuba-based musician to release an album internationally since the lifting of many of the restrictions associated with the United States’ longstanding trade embargo against Cuba, a chilling policy imposed during the Cold War. Now, even more than ever after President Barack Obama’s visit to Cuba, the whole world appears to be Lopez-Nussa’s oyster. With the launching of El Viaje as the next chapter of his ongoing journey, he seems to be sailing full speed ahead to the ideal twin destinations of wide popular appeal and critical acclaim. 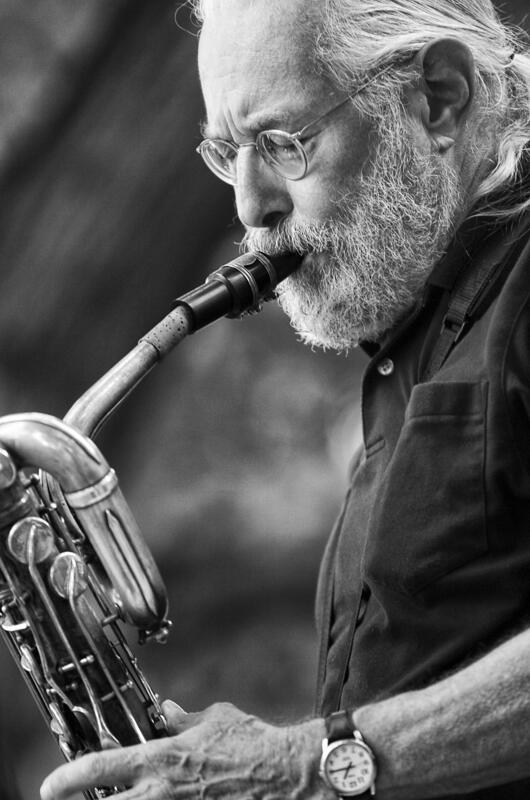 Baritone saxophonist Norman Gage and his frontline partner, trumpeter/flugelhornist Kenny Reed — two artful jazz practitioners — lead their quintet on Saturday, October 15, at 6:00 pm at Passages Gallery, Hartford. Increasingly, such traditional cultural bastions as galleries, museums and libraries have become welcoming sanctuaries for jazz, a perpetually endangered species. Appropriately enough, Gage and Reed are classy creators of museum-quality art.